11 Weeks in Paris: John Belushi Portrait in the Louvre? John Belushi Portrait in the Louvre? While visiting the Louvre on Wednesday, I ran across the following portrait. What the heck is a portrait of John Belushi doing in the Louvre? 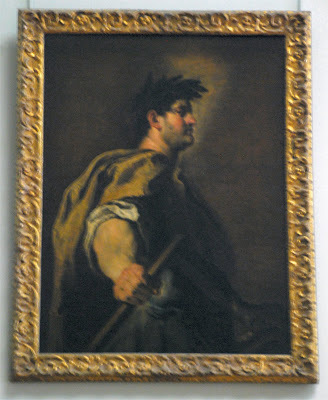 Actually, the portrait is of Emperor Domitian by Domenico Fetti. Had me fooled for a second.